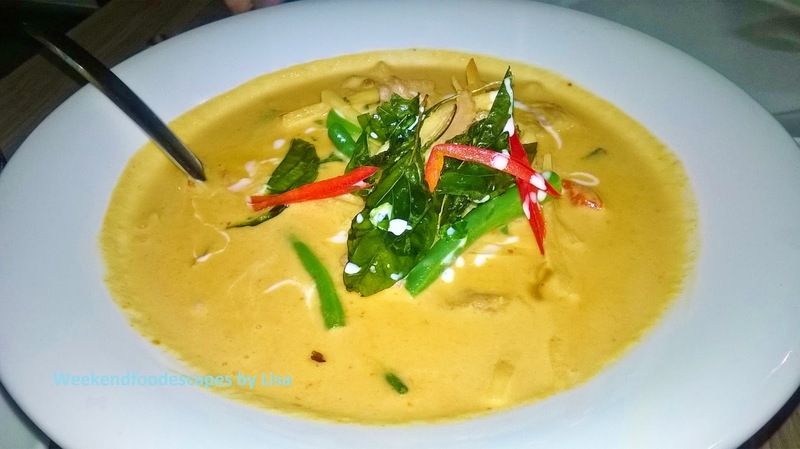 Maenam Lao and Thai is highly rated by Strathfield food lovers at a 94% like rate. It's tough because you have high expectations when you see a high rating. 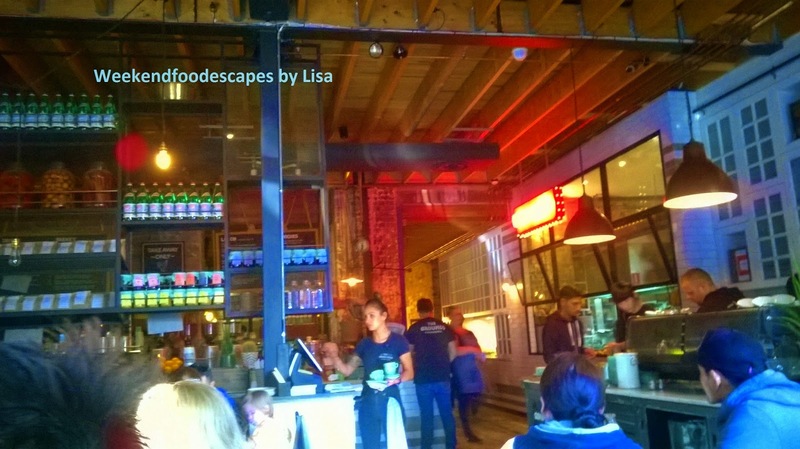 With so many options on the menu and lots of people buzzing in and out of the restaurant, I felt a bit overwhelmed. Pictured below is the the flat rice noodle with chicken, egg, cashews and vegetables at $14.50. I love thick rice noodles that are perfectly flavoured in a cashew and chilli jam sauce. It was a solid dish. 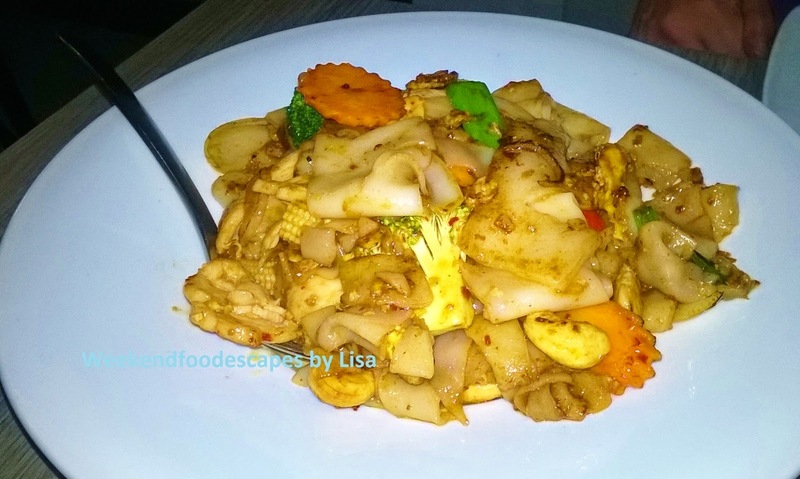 The waitress tells me that typically the pad thai, pad see ew and pad kee mao are the most popular dishes but there are enough dishes on the menu to inspire more adventurous patrons. The red curry with beef ($14.50) looked more yellow than red but nevertheless was still delicious. Overall I'd recommend trying out Maenam Lao and Thai! It's a tasty restaurant but I suspect you'll have to come back a few times to try out their extensive menu. I'm not sure it quite tops your green pepper corn, home thai or chat thai but it is very tasty. Check out my other thai reviews here. Happy Eating! 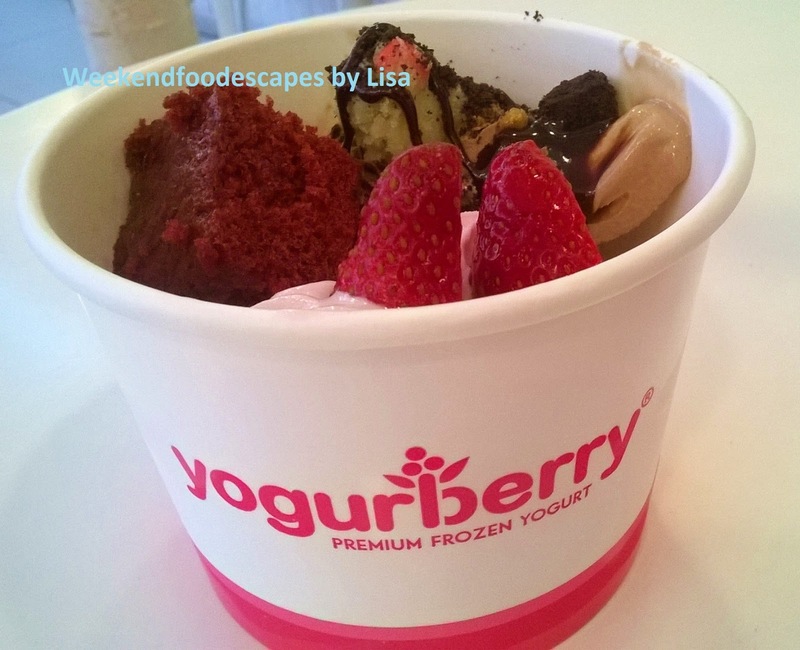 Yogurberry, in Strathfield is minutes away from the station. This means you can sneak in a quick trip before you head on home. What is the best combination of frozen yoghurt and toppings? Look at my photos and see if you agree. Firstly for those who haven't been to a yogurberry shop before, it's a self service store where you pick any combination of frozen yoghurt into the cup, add your toppings and they weigh your cup. 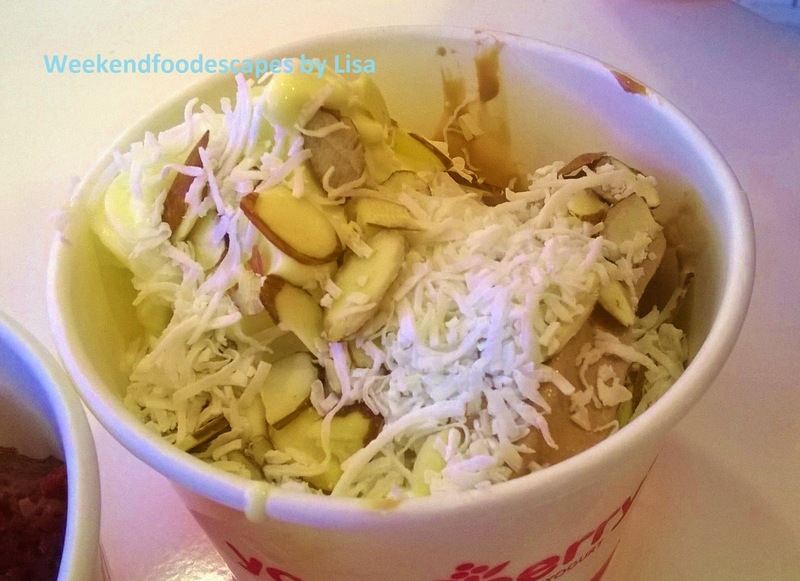 I quite liked the combination of chocolate and coconut frozen yoghurt topped with shreds of coconut and almonds. Simple, classic flavours and different textures really make this combination work. Another great combination was the slightly sour berry frozen yoghurt, topped with real strawberries. I also got greedy and added chocolate frozen yoghurt on the other side of cup and added cookie dough chunks, oreo cookie bits and drizzled this with dark chocolate. To top both flavours out, I added a red velvet mini cake. Thoughts? Feeling flirty? See if you can bring your boy or girl onto the swing and lick those spoons as you swing. 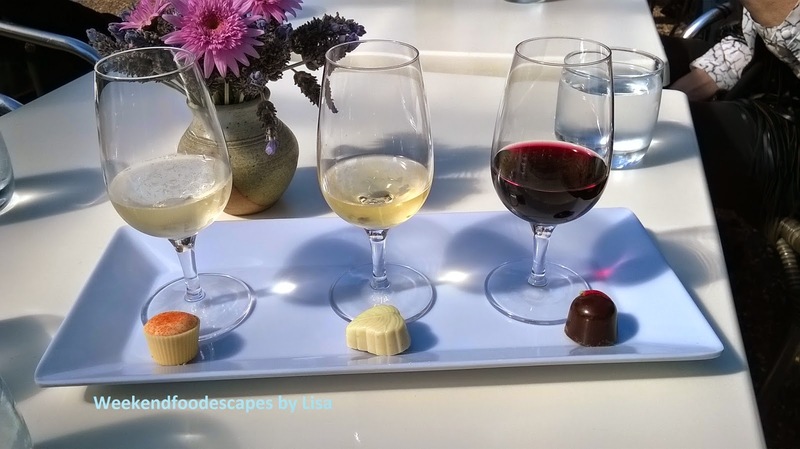 Wowzer, did you manage to stop by the pop up taster launch in Surry Hills? 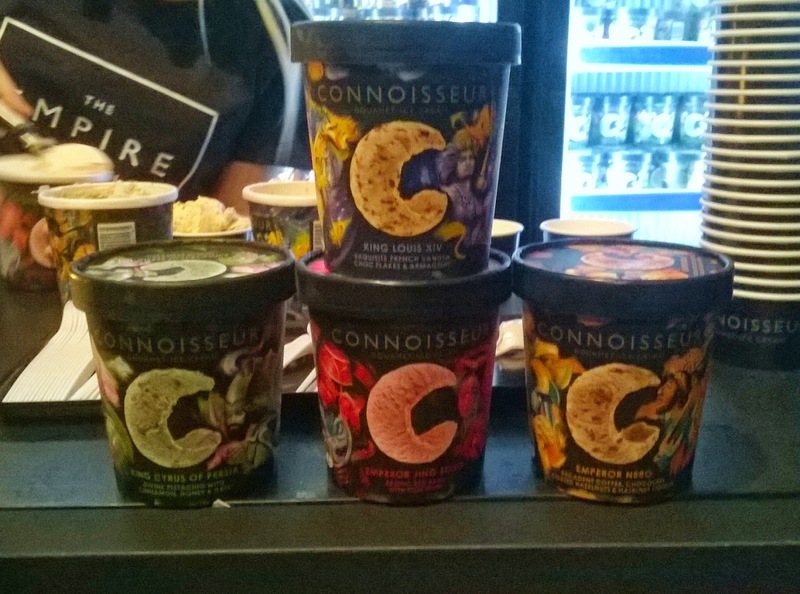 The pop up store showcased the new flavours of Connoisseur range. It was a royal launch with the EMPIRE range with fancy names of Kings and Emperors. Firstly, there's Emperor Nero which is decadent coffee, chocolate coated hazelnuts and hazelnut liquer. 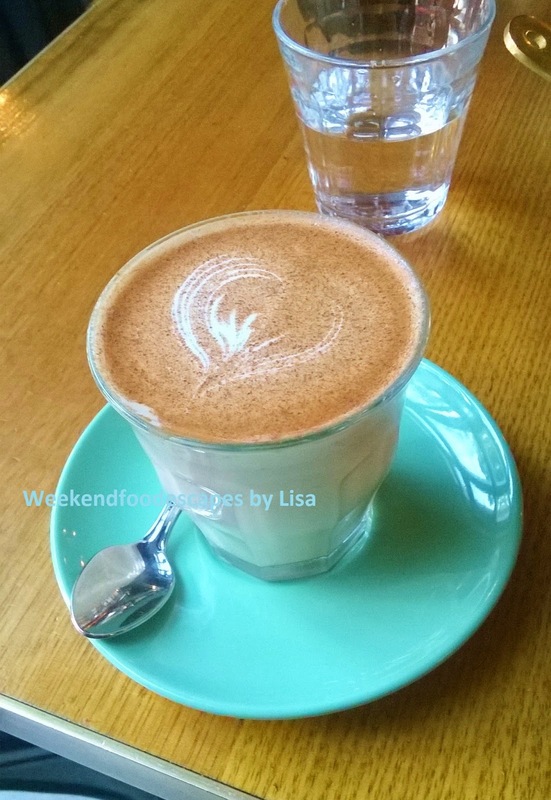 It was really nice and the coffee taste was not dominating, the hazelnut flavours definitely came through. King Cyprus of Persia was divine pistachio with cinnamon, honey and dates. This was a very popular flavour. Finally to finish off the range is King Louis XIV, french vanilla ice cream with chocolate flakes and armagnac sauce which should appeal to the Australian audiences who lllooooooveeee vanilla ice cream. Check it out! I also very much enjoy connoisseur ice cream! Hurricanes is easily the most popular restaurant in Top Ryde. 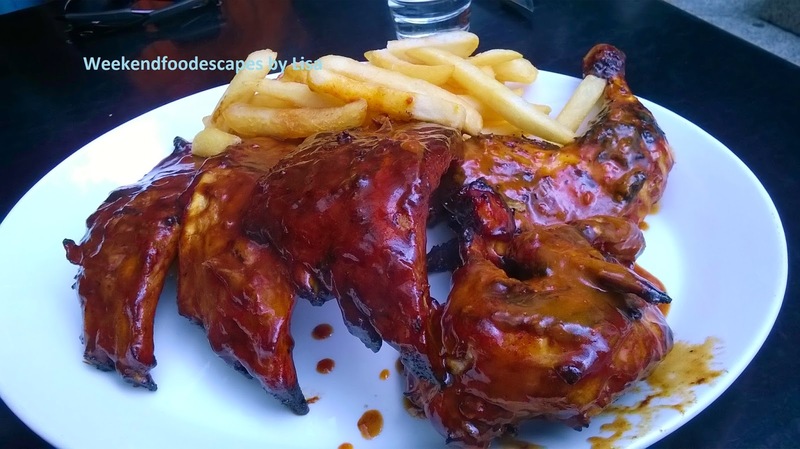 Mouth watering ribs, an assort of meats whether that's your steaks, chicken or everything in one. I had a really high quality meal but it wasn't quite up to the usual standards of Hurricanes apparently. Hurricanes Grill and Bar is a household name initially opening in Bondi and extending to other suburbs. The Hurricanes at Top Ryde is always very busy with mad queues. I have never experienced the glory of Hurricanes until today. To celebrate, I started with a refreshing cold beer. 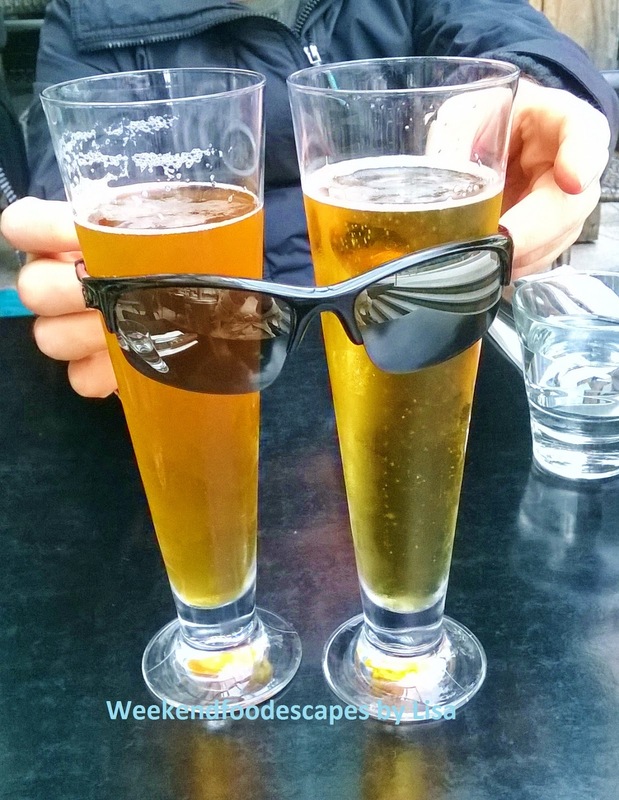 My eating partner was a bit silly and put some sun glasses on the beer. My eating companion and I shared half a rack of pork ribs with a Portuguese style cooked chicken. He tells me the ribs are good but something was missing. It was missing the exact desired taste that he had previously had at Bondi and Darling Harbour. Regardless, we still had a delicious meal. The ribs were succulent and full of flavour. 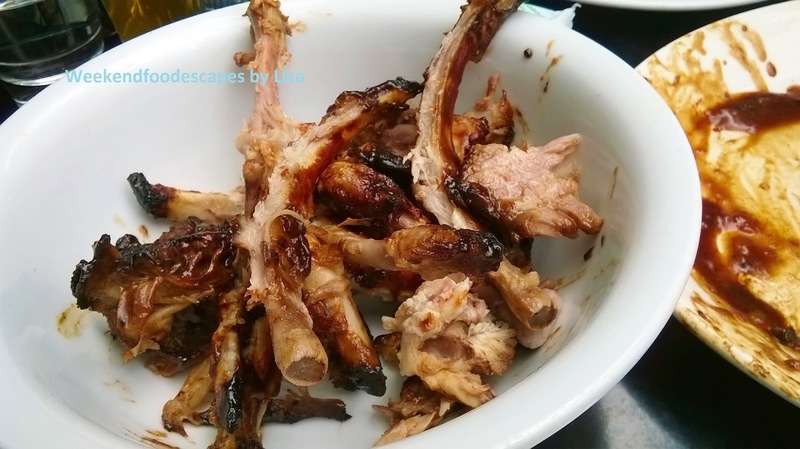 I've been advised to only order the pork ribs as the beef and chicken just do not compare. The chicken was nice but not really Portuguese flavoured. The chicken wasn't too different from the ribs actually. The chips were amazing with the ribs and chicken. The beer topped the fulfilling meal and made for the ultimate refreshment. I had a nice meal. I'm eager to try the Bondi and Darling Harbour version. The photo below speaks for itself. 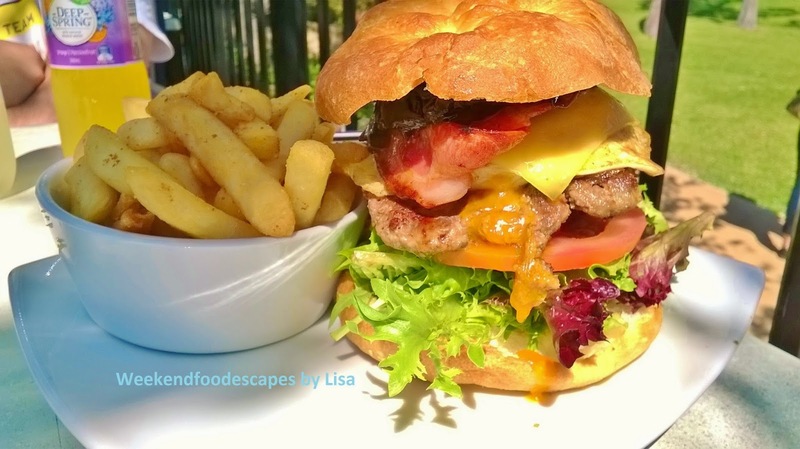 Located in the Hunter Valley Gardens; Oscars is a casual cafe where you can grab a quick bite for the road. You order at the counter and they bring out your food. I ordered the burger with the works! The burger was a big stack of beef patty, beef, cheese, bacon, tomato, lettuce and bread! It was a giant burger!! Not bad for a casual cafe. The burger with the side of fries was $18. Come by to Oscars if you're looking for a casual eat among the posh wineries. There's also a nice play yard for the kids nearby. The Broke Fordwich region is so beautiful. 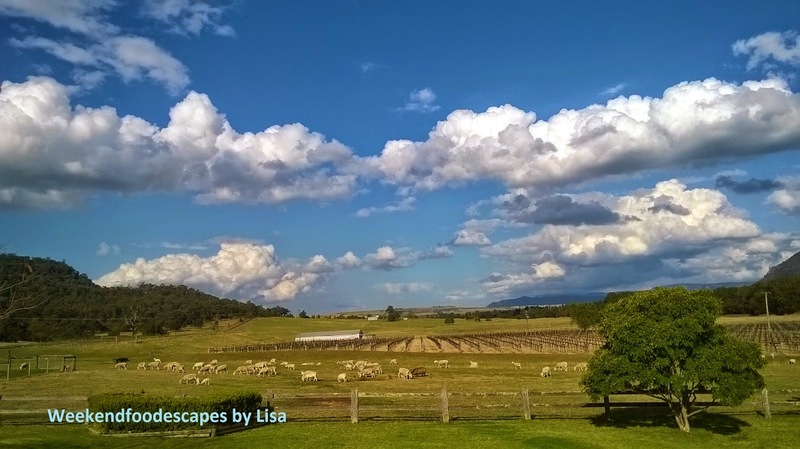 It's often described as tranquil and the Hunter Valley's best kept secret. 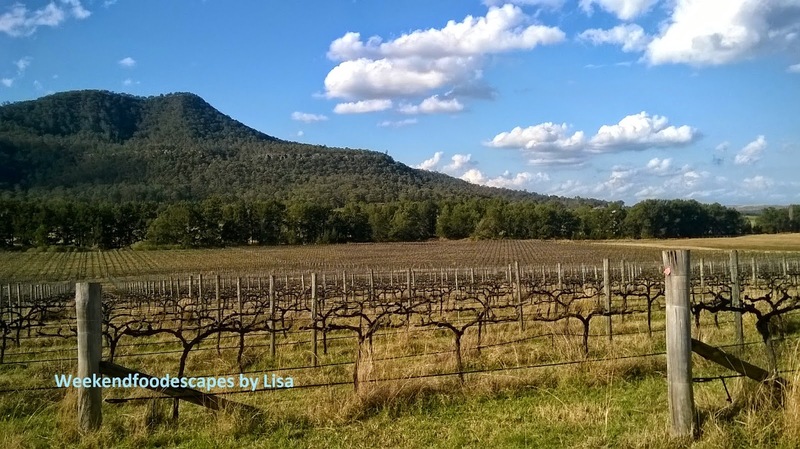 The Broke Fordwich Region is so quiet, peaceful and full of the most delicious and palatable food and wine. I've met so many friendly people. I had some great meals here and have met some fun alpacas. I think I've discovered the best parts of the Hunter!! 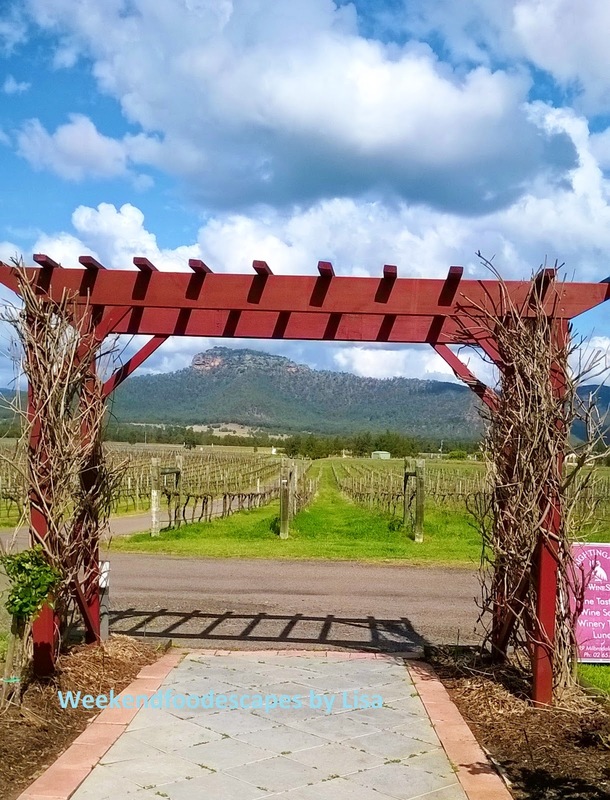 If you are looking to skip the queues, get some real time with the locals and witness some of the magic of where the best wines are made then come to the Broke Fordwich region. 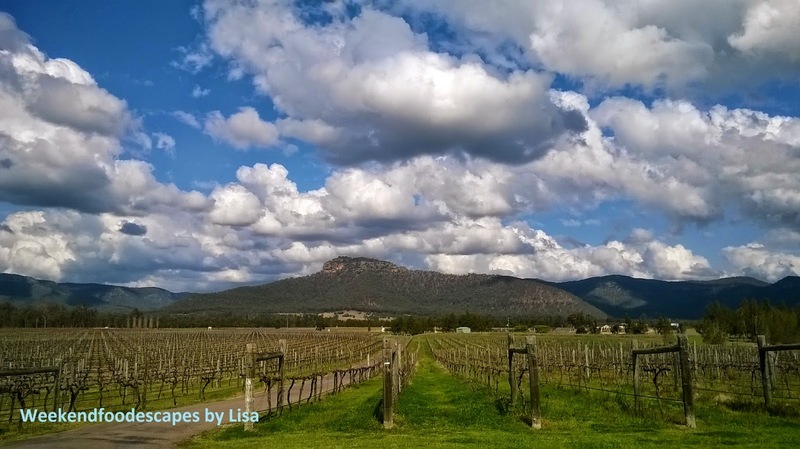 Some of the eldest wineries are from the Broke Fordwich area. 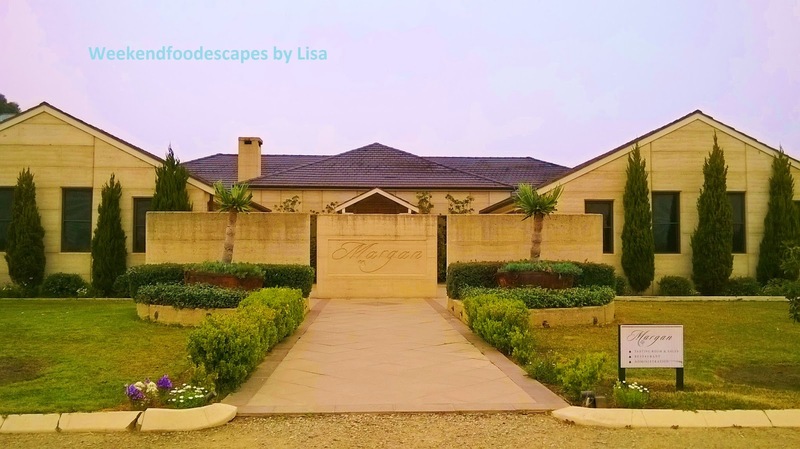 I would describe the Margan estate as elegant with a touch of posh. 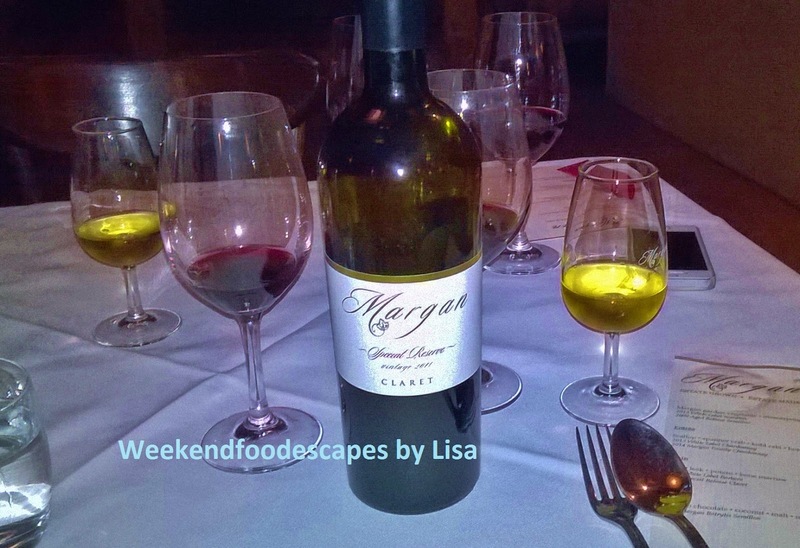 Margan's is a very popular restaurant and cellar door in the Broke Fordwich region of the Hunter Valley. Margan's is full of very easy to drink wine and you will be very tempted to buy lots of wine (which I did on my way home). I had a sample of the great food from Margan's. The photo above and below was an array of fresh garden vegetables with mascarpone. 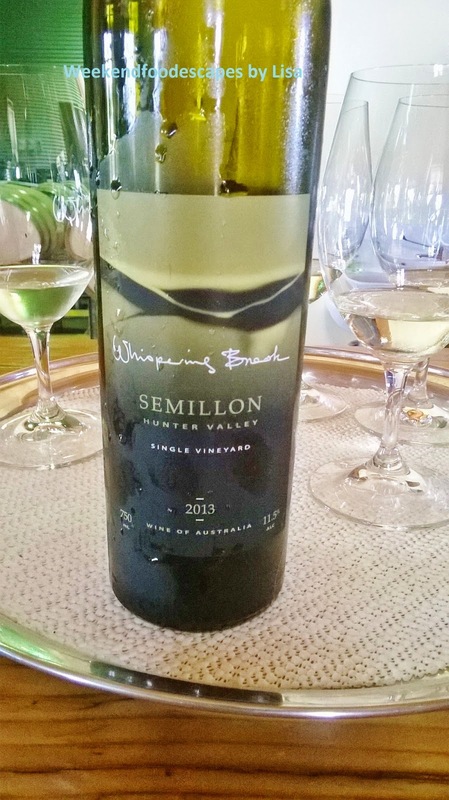 This was matched with a taste of the 2013 White Label Semillon and also a taste of the 2009 Aged Release Semillon. Light, fruity and just so easy to drink. It was just a touch of heaven. 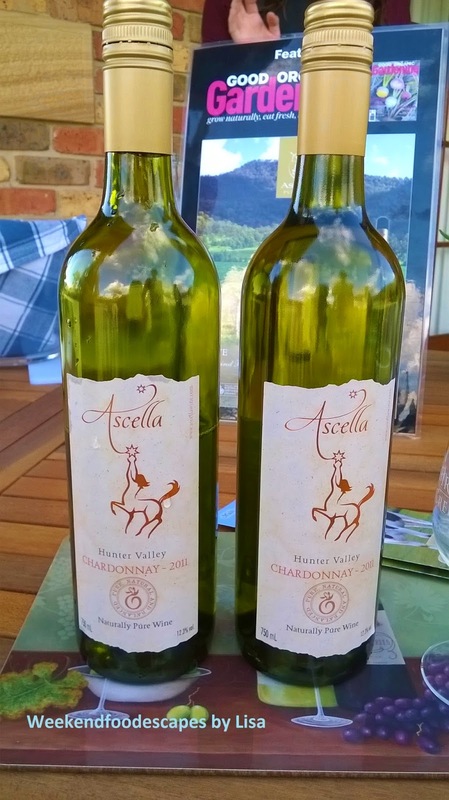 The 2009 Aged Release Semillon was so delicious that I went back and bought a bottle. The main (above) consisted of Beef, Leek, Potato and Bone Marrow. The beef was perfectly cooked and was melt in your mouth. The reds to accompany this main were lovely. The 2011 White Label Barbera and the 2011 Special Release Claret. 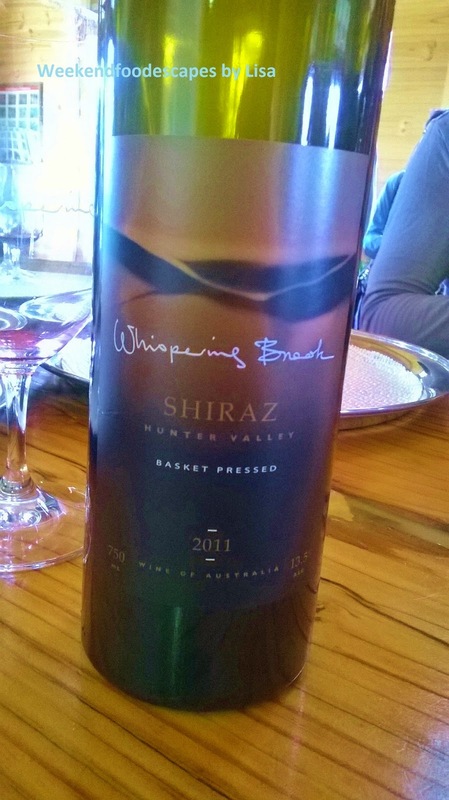 It was not a heavy, full bodied wine - it was a beautiful medium bodied wine that just brought out the flavours in the meat. Another one to buy - The Barbera. The dessert was the Zokoko chocolate which had a dash of coconut, malt with a side of milk sorbet. Delicious! The perfect sweet treat to conclude the meal. The very sweet 2011 Margan Botrytis Semillon was very easy to drink. 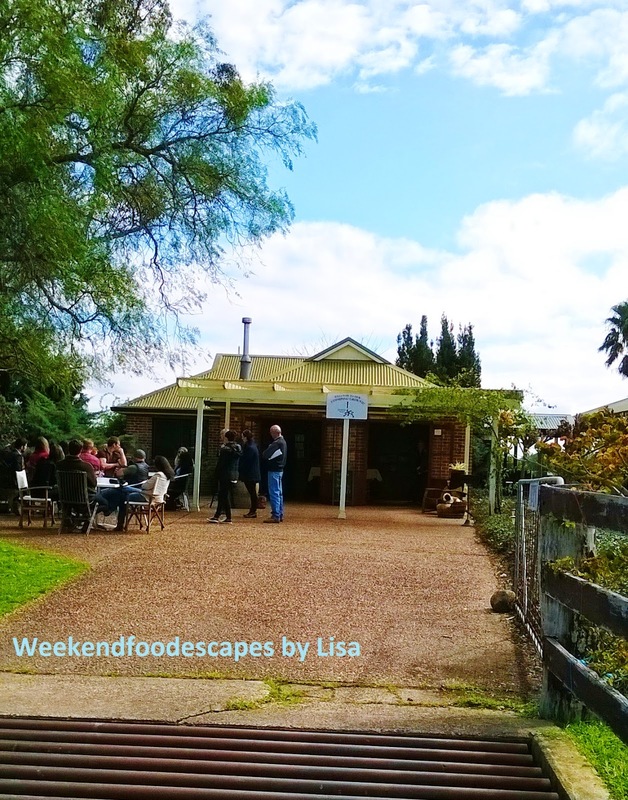 The highlight of Margan's has to be that all their food (aside from protein) is all sourced from their garden which you can take a walk through! You can taste the difference with ultimate freshness exploding in your mouth. The Cellar room is so very pretty and is a popular wedding reception location. I met the most amazing alpacas who were very soft, passive and elegant creatures. Kelly, the owner at Starline told me that there are very social white Alpacas named Lucy and Charlie. As we called out "Lucccyyyy, Charrlieeeee", they were very shy and slowly walked up while we fed the alpacas. The baby alpacas were so adorable. You can experience this for a measly $5 for a bag of alpaca food. I was shrieking in fear, joy and entertainment in one. Alpacas only have teeth on the top so while they eat out of your hand, it's like a gentle nibble on your hand. It was an amazing experience! If you are game enough then you must see the black alpacas that seem a lot more confident. Tip: Wear sensible shoes and be careful of alpaca poo. Be aware of where the bag of alpaca food is, that's what they're after ultimately. Note: I was a guest of the Broke Fordwich Region Tourism Association however all my opinions are my own. Please note that some of my adventures were self funded and I would happily come back to explore everything again. All my photos are my own. Bento boxes are the perfect box of variety and deliciousness. Manmaruya is located on the main strip of Ashfield. Competing with a lot of popular dumpling houses, Manmaruya was jam packed on a weeknight when I had dinner with a friend. 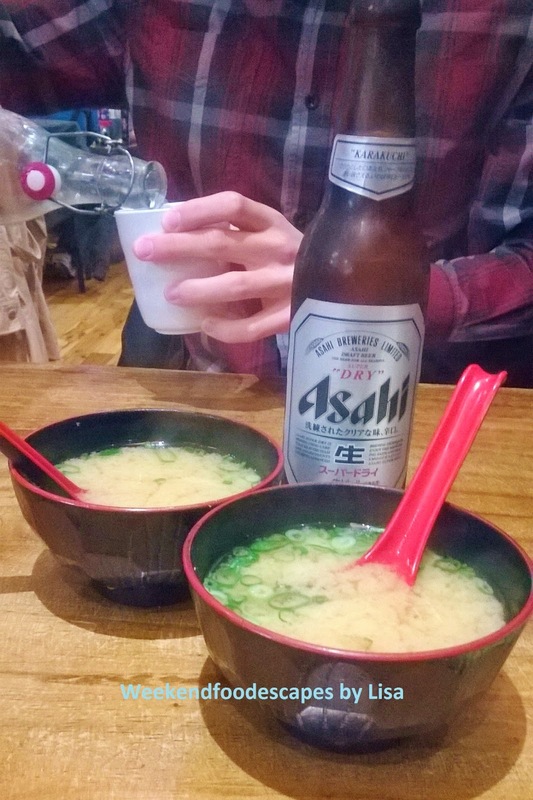 Tasty liquids of Asahi and miso soup. Which to drink first? 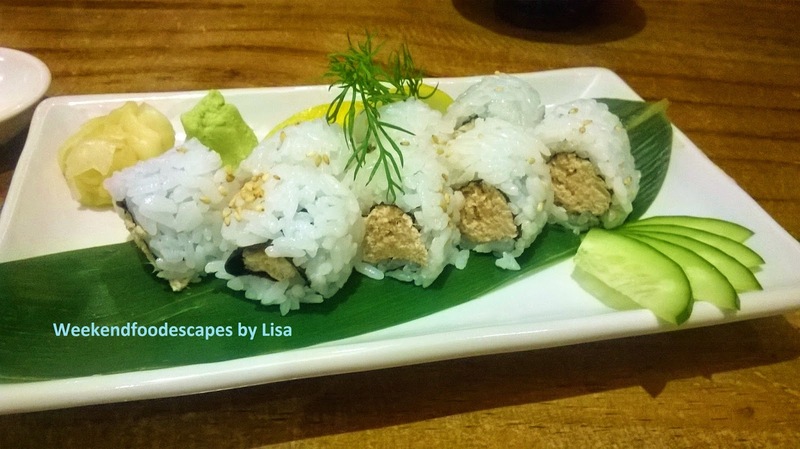 The mini tuna roll at $4.50 was a quick entree to share. It was nothing amazing but nothing horrible either. 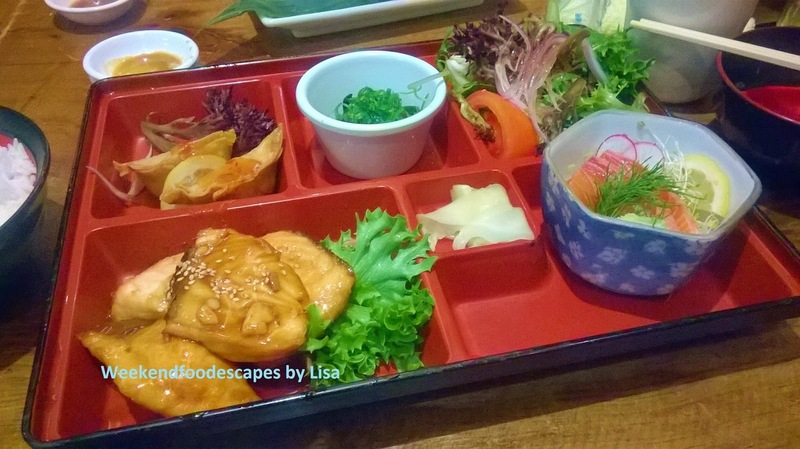 The Bento Boxes were very easy to eat at $19. Salmon pieces, fried dumplings, seaweed, salad, sashimi pieces with a side of rice magically disappeared into my belly. The salmon was perfectly cooked and very flavoursome. 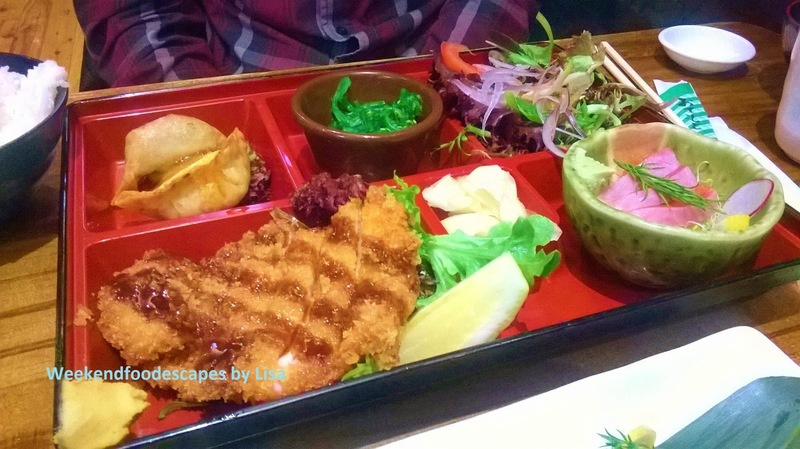 Similarly, the chicken katsu bento box was quickly devoured at $16. I would definitely recommend eating at Manmaruya! A nice and reasonably priced restaurant. 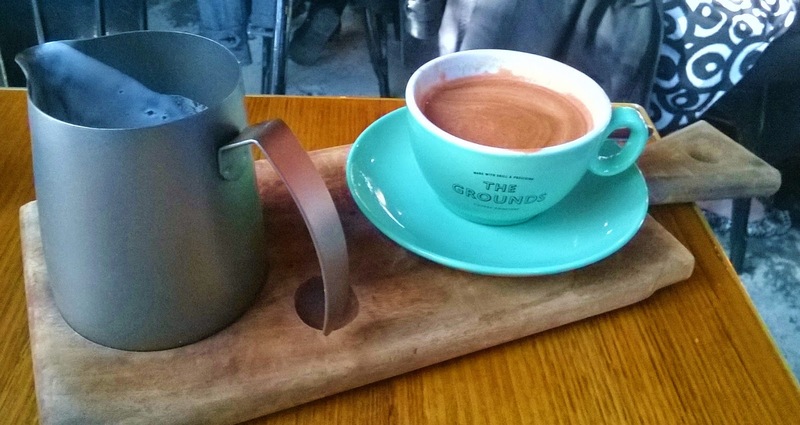 The Grounds of Alexandria is a lush cafe which brings hoards of people lining up for their posh breakfasts. The key is to get there bright and early or be prepared to wait and be oh so very hungry (because you will be waiting a long time). 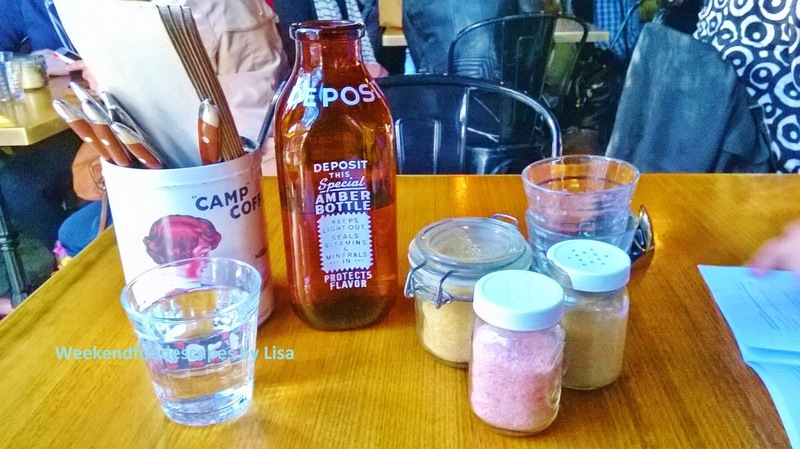 The picture (top right) - I really liked their quirky bottle of water and funky little containers for sugar, pink salt and pepper. The picture (bottom) shows a glimpse of the hussle and bussle. How about that breakfast burger? 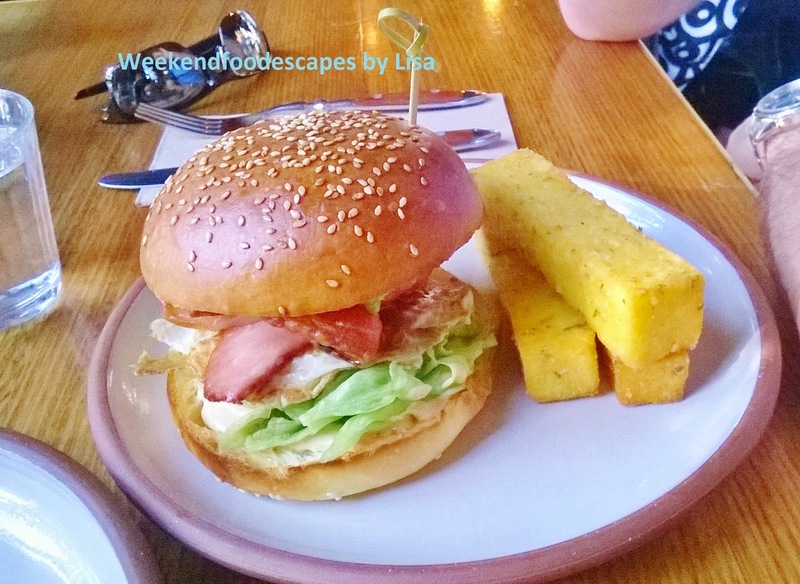 The delicious breakfast burger was served up on a delicious roll with trimmings of egg, bacon and lettuce. The polenta chips were very thick and a little bit bland. 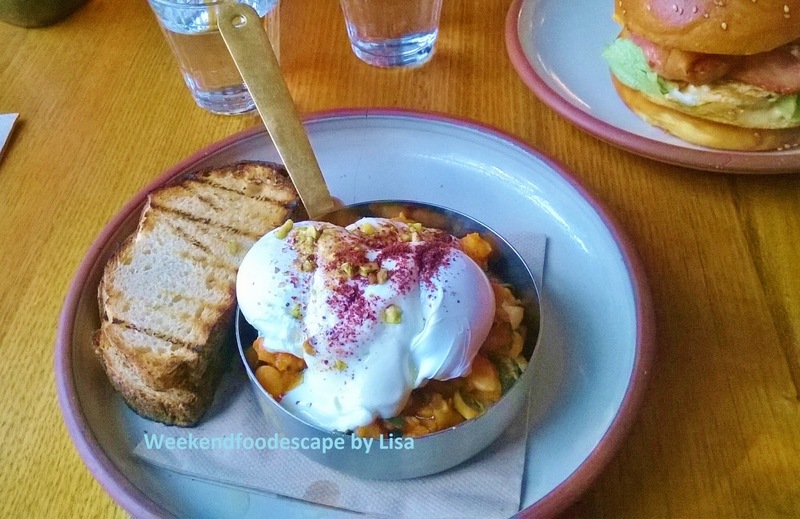 The turkish eggs (poached eggs) were smoothered in tangy yoghurt. The eggs sat on a bed of spicy tomato, corn, spinach and potato. Served up with freshly baked bread; this breakfast went down too well. The drinks seem to be a little bit out of order so I pretty much devoured my meal before I received my chai latte. 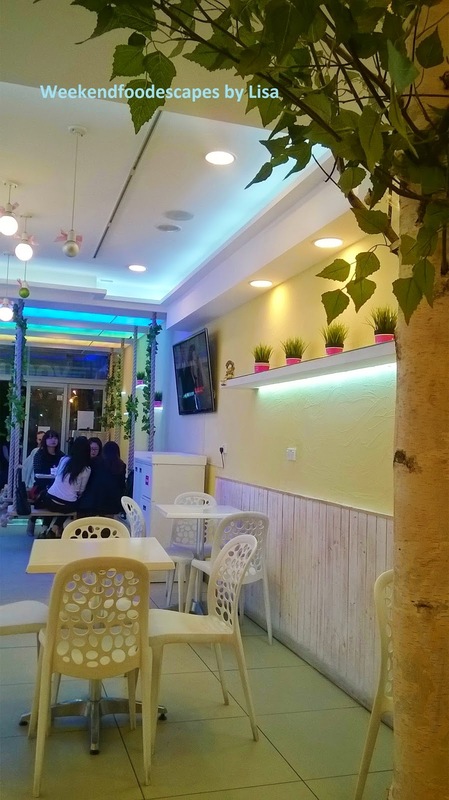 I think Grounds of Alexandria is beautiful, great product (in fresh produce and great cooking) but the amazing popularity of this cafe has yet to find its balance to cope with the hoards of people wanting a piece of action. Get there really early or be prepared to wait.. a long time. I'd definitely come back if I am awake early enough.